It’s time to clean your beauty routine! You wash your face on a regular basis, but how often do you wash your beauty tools? 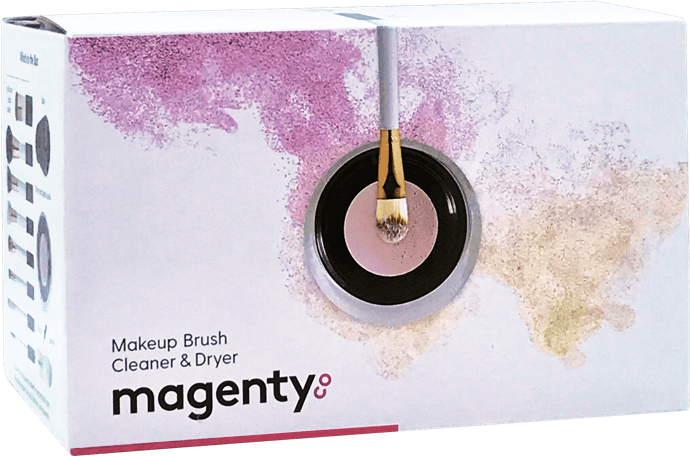 Now it’s easy to clean & dry your makeup brushes in under 30 seconds with Magenty makeup brush cleaner & dryer. WHY SHOULD I WASH MY BRUSHES? 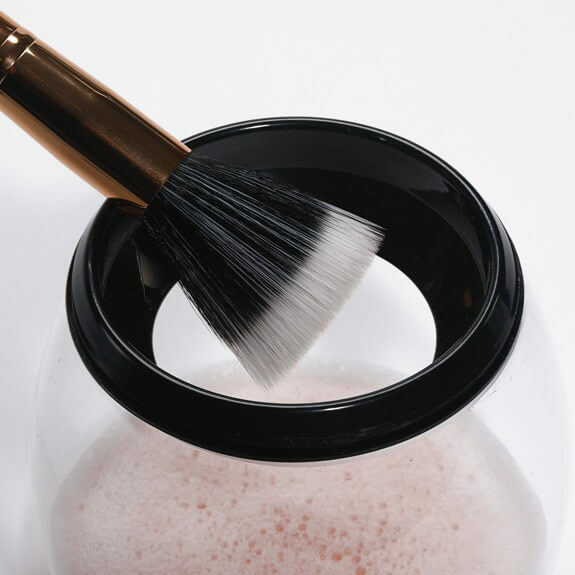 Over time, unwashed makeup brushes accumulate makeup, dirt, and worse—bacteria!—but most of us neglect to wash them anyway. 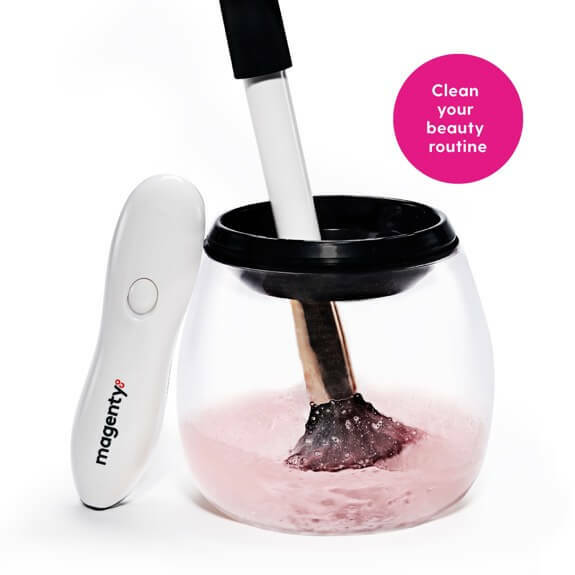 Magenty takes the hassle out of cleaning brushes, so it’s easier than ever to take care of your skin. WILL IT WORK WITH MY BRUSHES? 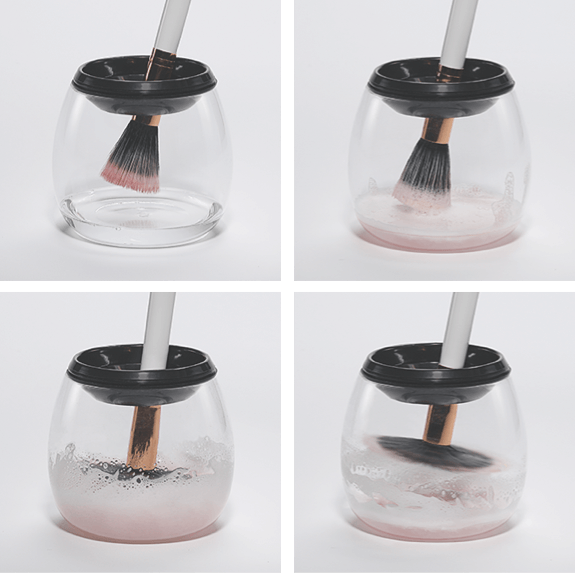 Magenty was designed to handle delicate synthetic and natural makeup brushes. It comes with 8 silicone collars that fit nearly every brush size, and a base to keep them organized. WILL THE BRUSH COME OUT DRY? The genius of Magenty is revealed in the drying phase. 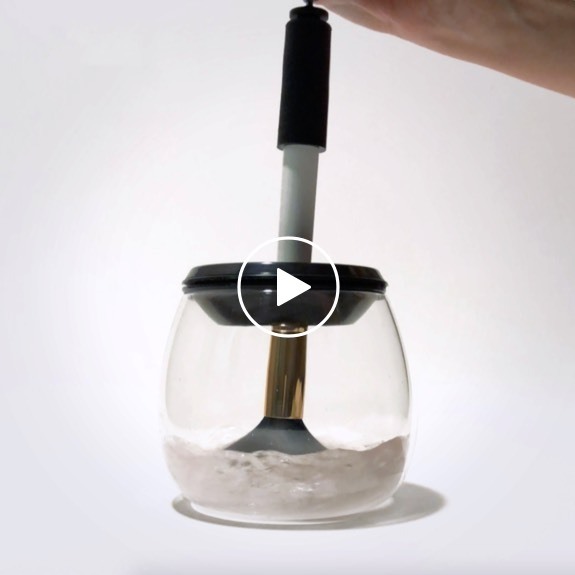 No one’s got time to wait for brushes to dry for 24 hours, and now you don’t have to – Magenty spins your brushes to dry in seconds! I LOVE IT. ANYTHING ELSE? 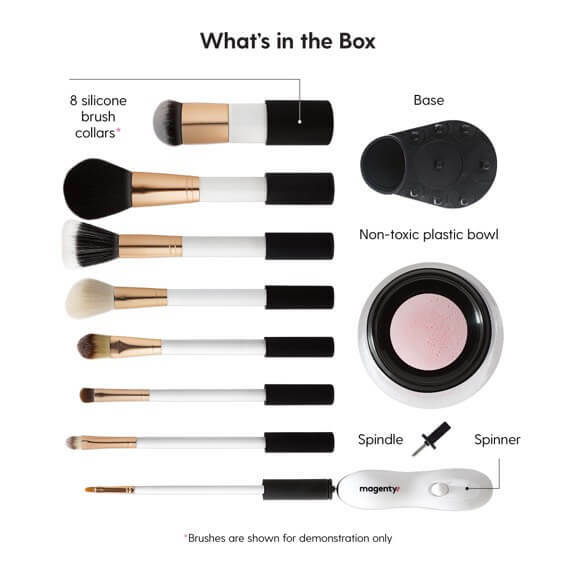 For complete instructions on Magenty makeup brush cleaner and dryer please refer to our user manual included with your purchase. Got questions or comments? We’re here to help. © 2018 magenty co. All rights reserved.